Looking for a bin rental? Well look no further! 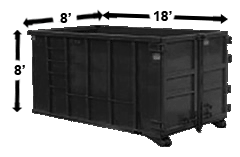 We have all kinds of bins available. And we have them available for rent in Toronto and the Greater Toronto Area. In case you missed it, have a look at our disposal bin rental service areas for more. Remember we’re only a phone call away if you want to confirm that we service your area. After that’s confirmed, it’s important to know what type of waste you’ll be disposing of and how it’s classified. 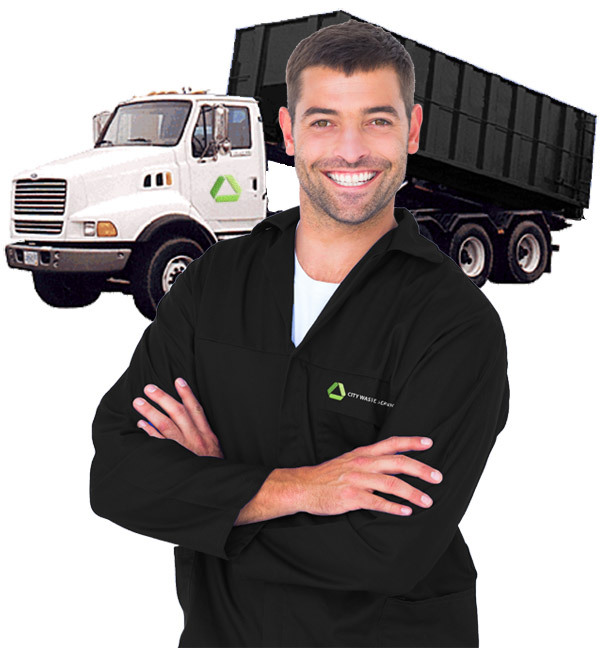 We accept Clean Fill and Mixed Waste. Clean fill is concrete, interlock, stones, brick, blocks, soil, grass or asphalt. Usually you’ll fill the entire bin with only one of these materials. Only our smaller bins are available for rent if you’re disposing of this type of waste, simply because it’s usually very heavy. You can combine more than one type of clean fill in the same bin. 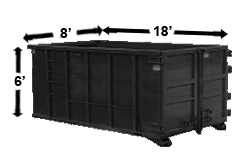 We’ll simply charge a small sorting fee of $100 so you don’t have to rent two separate bins. 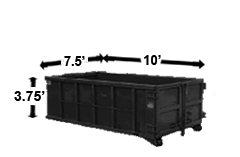 If other types of garbage other than clean fill are included in the dumpster, the entire bin will be considered mixed waste and will be charged as such. Mixed waste is much easier to explain now that you’ve read what clean fill is. Any type of garbage that is not clean fill is mixed waste. Waste from home renovations, construction and your failed backyard man-cave project. You’d be surprised to know how much of this garbage can actually be reused or recycled now. Mixed waste does not include organic (i.e. household green bin waste) or biological waste. If this is type of garbage is found in the disposal bin, a sorting fee of $100 will be applied. We don’t accept any hazardous waste in our disposal bins. Examples of items that fall into the hazardous waste category are cylinders, paint, batteries, aerosol cans and tires. Good news is your local municipality might. 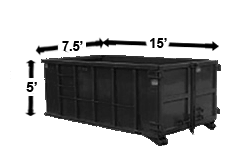 See our dumpster rental FAQ page for more information. BOOK ONLINE & SAVE AN EXTRA $25!